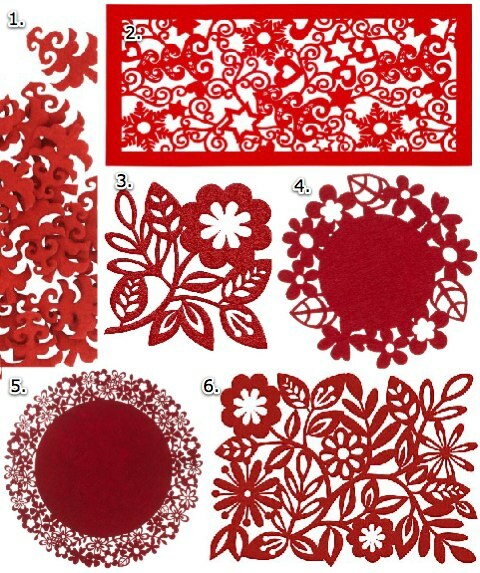 A couple of years ago I found some felt placemats in John Lewis that I cut up to use for scrapbooking. I was pleased to see when I visited recently that they were still stocking something similar, and Paperchase also have some lovely felt things this Christmas. In the image above I’ve messed about with the scale of the images to fit them into the collage, so some are actually large – like the table runner, and some are quite small, like the coaster.